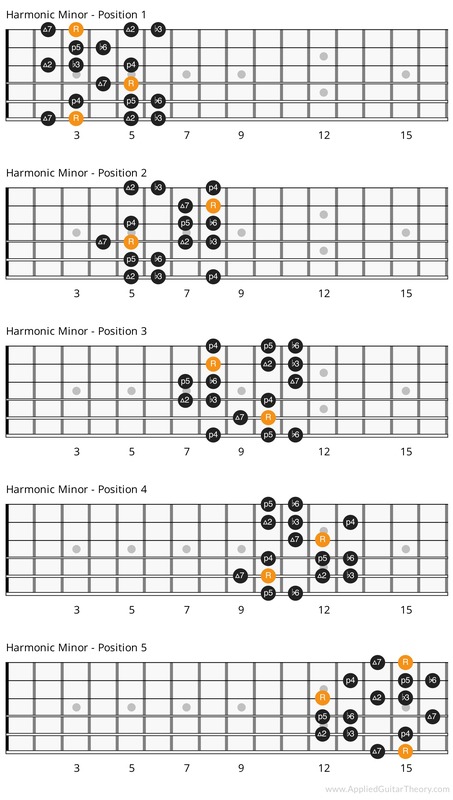 Whenever I think of the harmonic minor scale I can’t help but hear the opening phrases of Toccata and Fugue in D Minor. A staple in classical music and a fan favorite of the neoclassical shredders, it’s sinister sound catches the ear. While I’m not a neoclassical shredder, I do appreciate this scale as it’s one of the few scales that actually sounds good even when played straight up and down. Let’s dive in and see what makes up this scale. 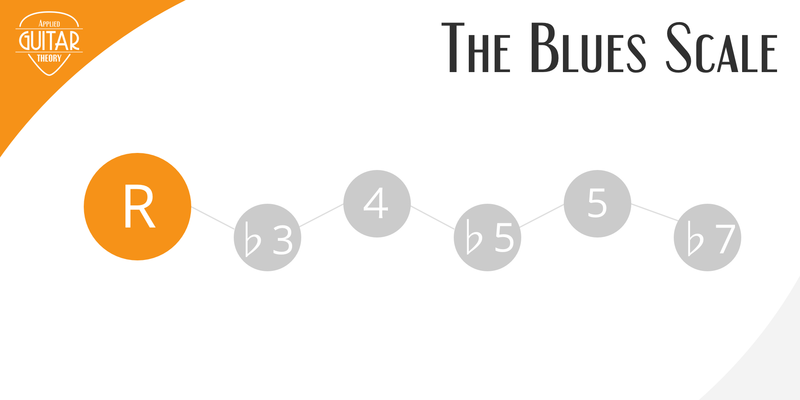 The harmonic minor scale is made up of all the same intervals as the natural minor scale with the exception of the 7th. 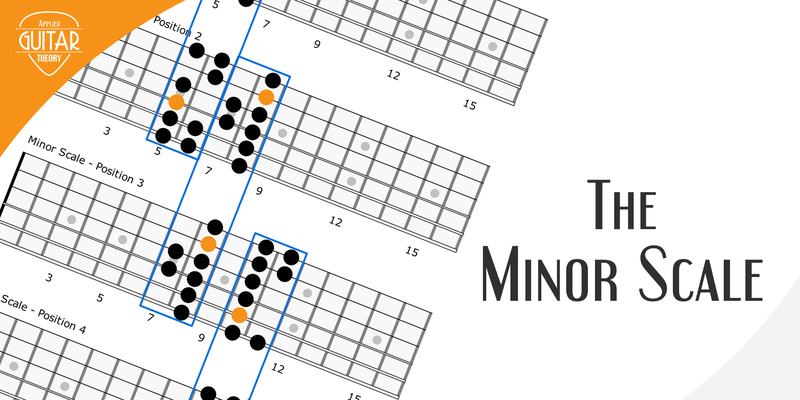 The natural minor scale contains a minor 7th interval, whereas the harmonic minor scale contains a major 7th interval. While there is only a 1/2 step difference between the 7th interval of both scales (minor 7 vs. major 7), the difference in sound is highly noticeable. 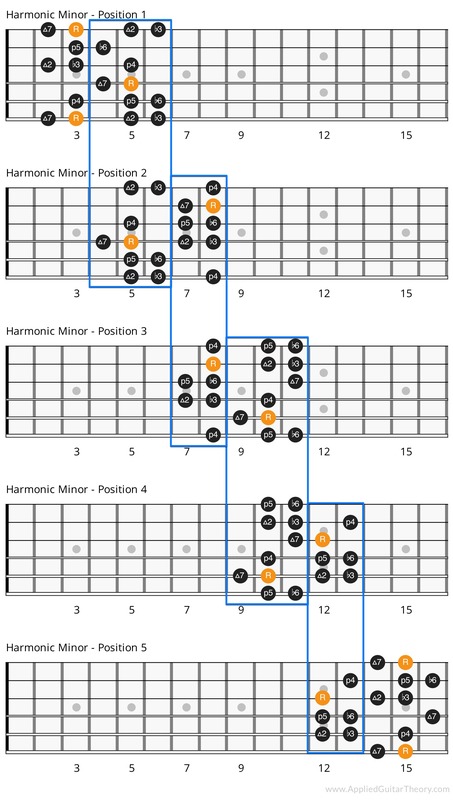 The raised 7th of the harmonic minor is more dissonant and creates a stronger resolve to the tonic, D.
Below are the 5 positions of the harmonic minor scale mapped to the guitar fretboard. When practicing the scale, start and end on the root note. 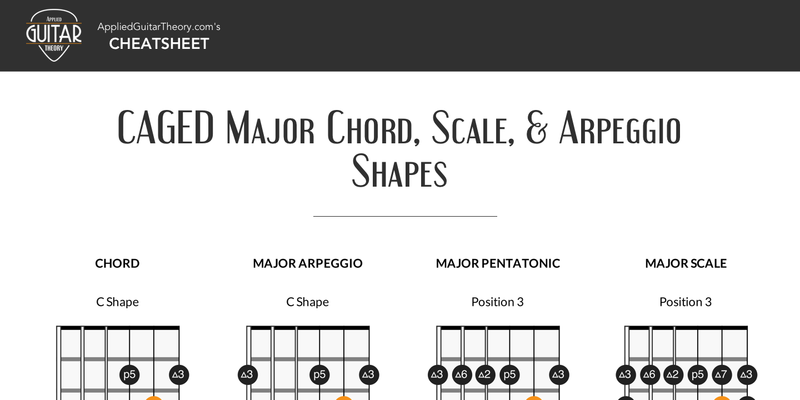 This will help associate the scale patterns based on the position of the root notes.